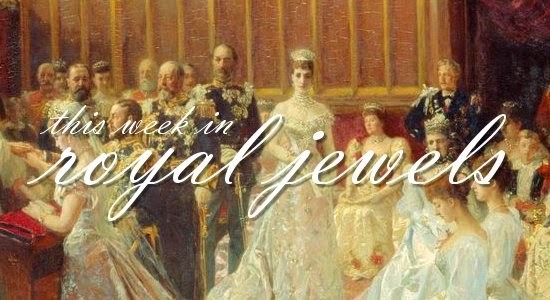 We've got earrings galore, plus a few glittering surprises, in this week's jewel roundup. Don't forget to vote for your favorites in the poll below! 10. 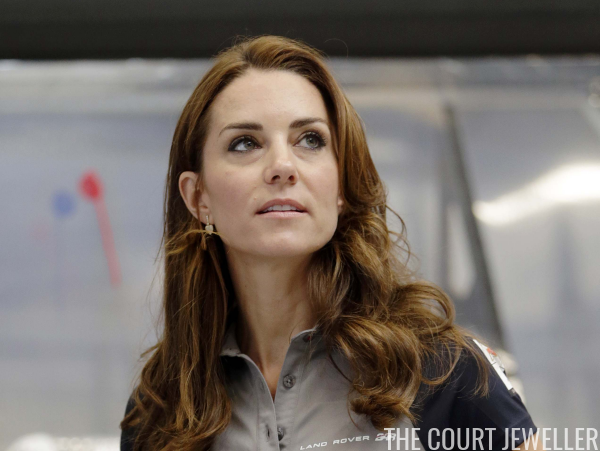 The Duchess of Cambridge wore her Kiki McDonough "Lauren" earrings in Portsmouth on Sunday. See more images, plus a great close-up, over here! 9. Princess Eugenie of York layered necklaces and rings at Ascot Racecourse on Saturday. 8. 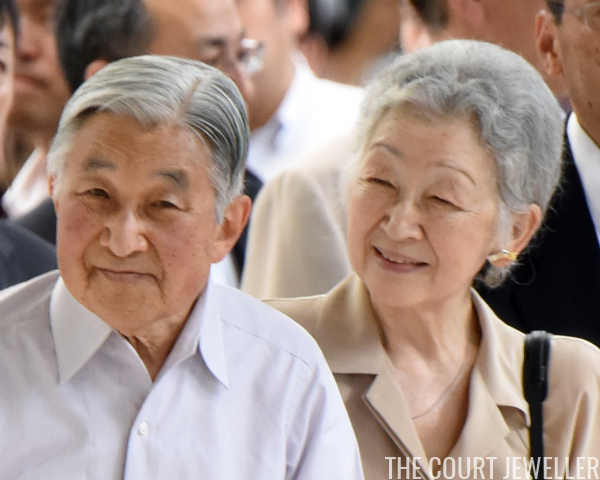 As Emperor Akihito and Empress Michiko of Japan departed for their summer holidays on Monday, the empress wore a pair of large gold earrings with pink-toned centers -- possibly made of coral? 7. 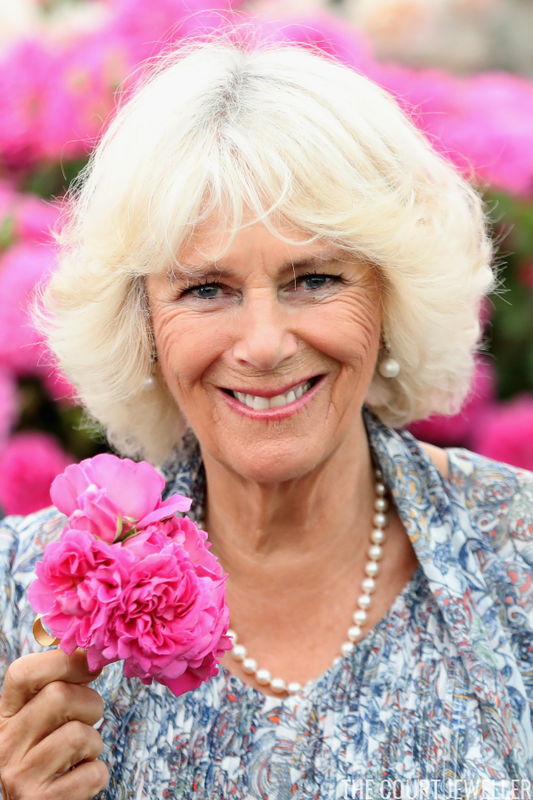 On Tuesday, the Duchess of Cornwall visited the new Poppy Pod Village in Brockenhurst, which provides accommodations for service personnel and their families. Appropriately, she wore the cap badge of The Rifles (a British army infantry regiment -- she's the Royal Colonel of the 4th Battalion) for the occasion. 6. 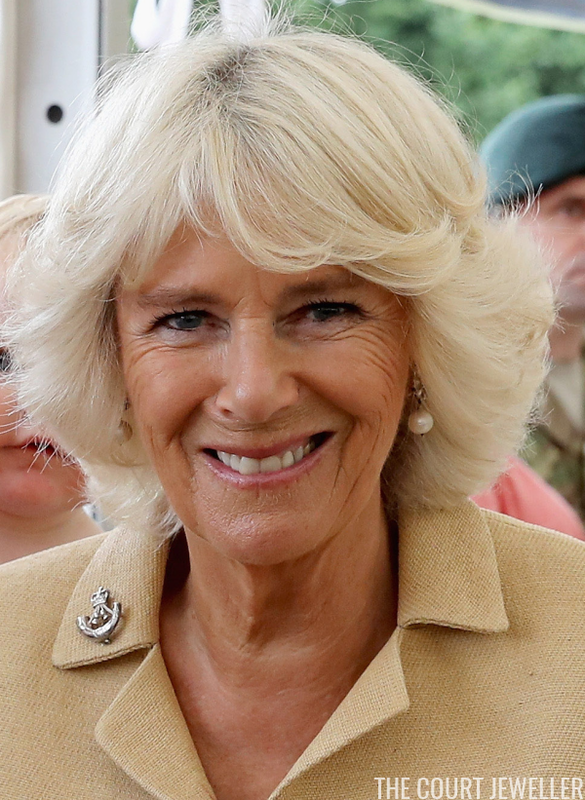 Pearls were the jewelry pick of the day for Camilla at the Sandringham Flower Show on Wednesday. 5. Queen Letizia of Spain wore her Tous ruby, emerald, and moonstone earrings at the opening of the International Music School Summer Courses in Oviedo on Friday. 4. On Wednesday, Letizia debuted a new pair of gold leaf earrings by Oscar de la Renta at the Cervantes Institute in Madrid. 3. And we also had another first look at a new pair of earrings from Letizia on Tuesday: Carolina Herrera's "Falling Jasmine" earrings. See more, including a good close-up, over here! 2. Hereditary Princess Sophie of Liechtenstein paired dangly earrings with a lovely one-shouldered Grecian gown at the International Salzburg Association on Wednesday. 1. But really, who else could get this week's top spot? Princess Charlene of Monaco's incredible diamonds stole the show at this year's Red Cross Gala. See more pictures, including close-ups of her earrings and her gorgeous diamond bracelet, over here!